As the campaign hots up to be Greater Manchester’s new elected mayor, Roseanne Green takes a look at the two main favourites in the race. In May this year the inaugural metro-mayor elections will take place throughout the country as a part of the government’s devolution agenda. Touted as the blueprint for the devolution model and with a big name contender, it is no surprise that it is Greater Manchester which has piqued the most national attention. With the Liberal Democrat candidate lacking both experience and vision, the election will pit the Liverpool-born Labour heavyweight, Andy Burnham against the Conservative’s rising star, Sean Anstee. Following on from the Greater Manchester Mayoral Debate last month (organised by Place North West in association with Iceni Projects) the two contenders have this week published their respective manifestos, with housing an unsurprising mainstay of both the red and blue corner. The favourite to win, Burnham’s manifesto seeks to convey a message of change - this is a more encompassing and, importantly, more northern Labour than the one which has for too long played into the hands of the metropolitan London elite. One of his opening gambits “Greater Manchester has a proud tradition of wrenching power from the establishment and placing it in the hands of ordinary people” seeks to reinvigorate, and plays to the recent rise of anti-establishment politics. However, Labour cannot win on emotive rhetoric alone and Burnham does outline some likely popular housing policies including the scrapping of the controversial Greater Manchester Spatial Framework (although this popularity may not stretch to many in the development industry) which has identified green belt land across the region suitable for future development. Burnham has also committed to refocus the aims of the Greater Manchester Housing Fund – public money which has been criticised for shoring up luxury apartment schemes – to provide loans and guarantees to councils and housing associations. Challenging the much-reported lopsided national economy, Burnham has promised to apply the same level of ambition and vision to the outlying parts of the city region as has been demonstrated in the last 20 years to the development of Manchester city centre. It’s an inclusive policy stance from Burnham and one that is to be welcomed from the likes of Bolton and Salford. Despite being the underdog of the contest due to the region’s traditional voting patterns, there is no doubt that Anstee has already proved he is a capable, ambitious politician. In 2014 he became the country’s youngest council leader, heading up the Trafford administration at the age of 26. Unlike Burnham, Anstee has committed to tweaking, but not overhauling, the Greater Manchester Spatial Framework to ensure it promotes a more varied tenure of new homes. Always a provocative subject, Anstee has also promised action on land banking as well as bolstering the Greater Manchester Housing Fund to three times its current total of £300m. However, surely one of Anstee’s most popular and radical policy commitments will be his pledge to ensure local people will get first dibs on new housing. Both candidates have committed to making the city region more sustainable through the introduction of a new bike-hire scheme and have vowed to introduce public transport smart ticketing. Anstee has promised a Greater Manchester Infrastructure Guarantee which will mean that land can only be allocated for development once the required infrastructure (roads, schools etc.) is in place, whilst Burnham has pledged to make use of old infrastructure (such as disused railways and canal towpaths) to link-up boroughs to the city centre. Labour will undoubtedly, and rightly, recognise this election as an opportunity for the party to re-establish itself in its traditional heartlands. However with national priorities (yes, Brexit again) capable of overshadowing even Labour’s current woes, whoever wins May’s election will need to transcend party politics - akin to Sadiq Khan in London - and ensure imaginative, ambitious and inclusive leadership which is capable of continuing to propel Greater Manchester forward. 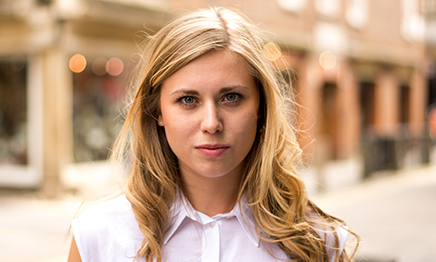 Roseanne Green is a consultant, engagement, at Iceni Projects.